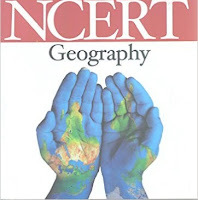 Geography of India and World Quiz, Objective Questions: Geography of India and World Quiz for RAS Examination as per net pattern of RAS and other examination with short explanation. This question from NCERT Books of Social Science, Geography Class 6 to Class 10. Explanation: Venus is considered as ‘Earth’s-twin’ because its size and shape are very much similar to that of the earth. Which is the third nearest planet to the sun ? Explanation: There are eight planets in our solar system. In order of their distance from the sun, they are: Mercury, Venus, Earth, Mars, Jupiter, Saturn, Uranus and Neptune. Explanation: All the eight planets of the solar system move around the sun in fixed paths. These paths are elongated. They are called orbits. Pole Star indicates which direction ? Explanation: In ancient times, people used to determine directions during the night with the help of stars. The North star indicates the north direction. It is also called the Pole Star. It always remains in the same position in the sky. Which is the closest celestial body to our earth ? Explanation: The sun, the moon and all those objects shining in the night sky are called celestial bodies. Some celestial bodies are very big and hot. They are made up of gases. They have their own heat and light, which they emit in large amounts. These celestial bodies are called stars. The sun is a star. Explanation: The northernmost is the Great Himalaya or Himadri. The world’s highest peaks are located in this range. Middle Himalaya or Himachal lies to the south of Himadri. Many popular hill stations are situated here. The Shiwalik is the southernmost range. Explanation: The Western Ghats or Sahyadris border the plateau in the west and the Eastern Ghats provide the eastern boundary. While the Western Ghats are almost continuous, the Eastern Ghats are broken and uneven. Corals are skeletons of tiny marine animals called ----- ? Explanation: Corals are skeletons of tiny marine animals called Polyps. When the living polyps die, their skeletons are left. Other poplyps grow on top of the hard skeleton which grows higher and higher, thus forming the coral islands. Explanation: Sri Lanka is separated from India by the Palk Strait. Explanation: Aravali hills, one of the oldest ranges of the world, border it on the north-west side. The Vindhyas and the Satpuras are the important ranges. The latitude that runs almost halfway through India is ---- ? Explanation: India is located in the northern hemisphere. The Tropic of Cancer (23°30'N) passes almost halfway through the country. From south to north, main land of India extends between 8°4'N and 37°6'N latitudes. Explanation: Climate of a place is affected by its location, altitude, distance from the sea, and relief. Mawsynram in Meghalaya receives the world’s highest rainfall, while in a particular year it might not rain at all in Jaisalmer in Rajasthan. Explanation: Mangrove forests can survive in saline water. They are found mainly in Sunderbans in West Bengal and in the Andaman and Nicobar Islands. Sundari is a well-known species of trees in mangrove forests after which Sunderbans have been named.